How the Matter and Energy works? E=mc2, Einstein we remember, But there’s more. Nokola Tesla’s influential quote to me is If you want to find the secrets of the universe, think in terms of Energy, Frequency & Vibration. Dr. Masaru Emoto, the Japanese scientist who revolutionized the idea that our thoughts and intentions impact the physical realm, is one of the most important water researchers the world has known. For over 20 years until he passed away in 2014, he studied the scientific evidence of how the molecular structure in water transforms when it is exposed to human words, thoughts, sounds and intentions. Sound is the transfer of energy in the form of waves through a substance, or medium, such as air, water, or a flexible solid. 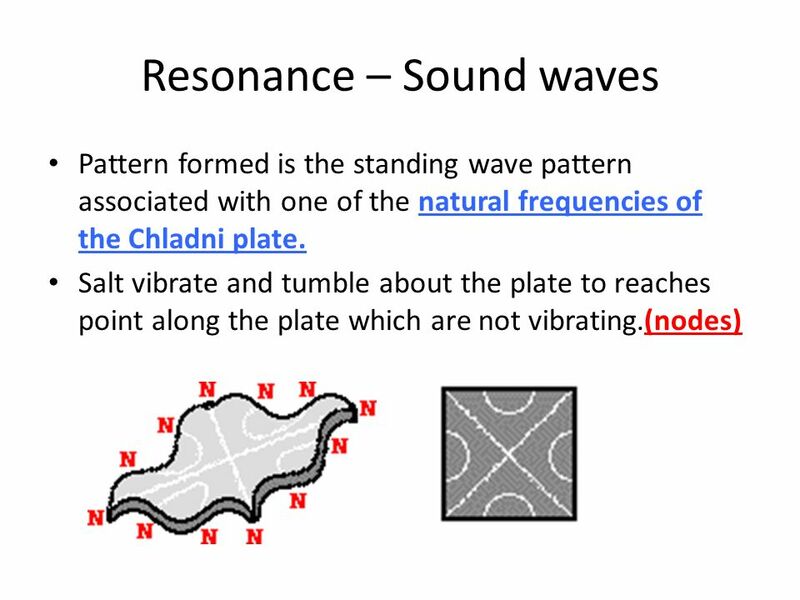 You can picture sound waves as a series of nudges that cause particles in a medium to bump into one another in successive collisions. Sound can also travel between different media, which is why you can hear loud music coming from a room with the door closed. Speakers produce sound waves by vibrating back and forth, compressing or “pushing” air particles. When you hear music coming from a speaker, you are actually “feeling” the sensation of air particles vibrating against your eardrum as the speaker’s sound waves are transferred through the air. Those vibrations are transmitted to your inner ear, where they are converted into information that your brain interprets as a sound. You can distinguish different sounds based on sound waves’ duration, wavelength, wave height (amplitude) and rate (frequency). Cymatics, from Greek: κῦμα, meaning “wave”, is a subset of modal vibrational phenomena. The term was coined by Hans Jenny (1904-1972), a Swiss follower of the philosophical school known as anthroposophy. 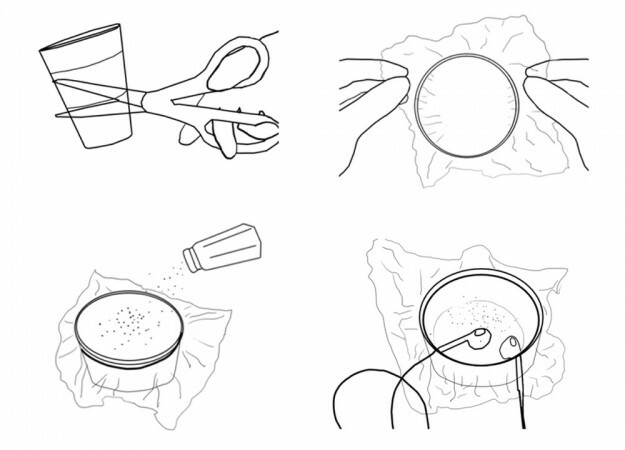 Typically the surface of a plate, diaphragm or membrane is vibrated, and regions of maximum and minimum displacement are made visible in a thin coating of particles, paste or liquid. Different patterns emerge in the excitatory medium depending on the geometry of the plate and the driving frequency. The frequency of sound is the number of wave cycles that are transmitted per second and is measured in a unit called “Hertz” (Hz). Most systems—like your eardrum model—have a tendency to vibrate more easily and with greater amplitude at certain frequencies than at others. These are called natural frequencies, and they’re determined by various properties of the system, such as its rigidity, size, and mass. When the frequency of sound waves precisely matches the natural frequency of a system, the maximum possible amplitude of vibration is achieved. This phenomenon is called resonance. Thing to remember is the effect of frequency on Matter. So, think and communicate only good. 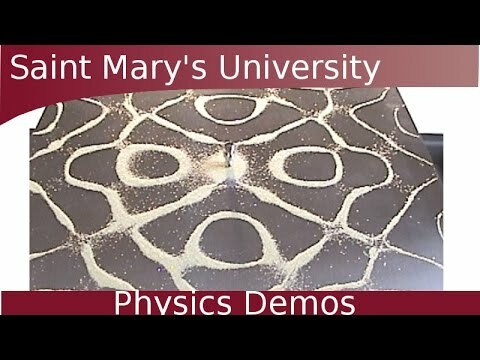 Sound effect on Salt Pattern.